IRAMIS "Saclay Institute of Matter and Radiation" is the 2nd Institute in size of the CEA Fundamental research Division (DRF). 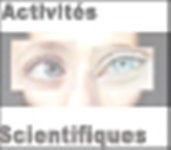 IRAMIS gathers 6 joint Research Units in association with CNRS, Ecole Polytechnique or ENSICAEN. Four are located on the CEA Research Centre of Saclay (LIDyL, LLB, NIMBE and SPEC), one on the site of the Ecole Polytechnique (LSI) and one in Caen (CIMAP), close to GANIL. 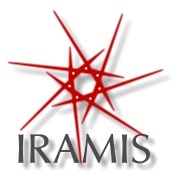 To carry out this research program, the teams of IRAMIS implements leading foreground facilities and scientific equipments, and are also very active around the Great Europeans Instruments. Mostly fundamental , research carried out at the Institute are open to the creation of economic value and technology transfer. IRAMIS also contributes to 4 EQUIPEX and 4 LABEX of the "Investments for the Future" programmes of the French government. Anatomic scale : In collaboration with chemists from ENS Lyon and from CEA/iBiTeC-S and CBM Orléans, MRI experiments on living rodents are undertaken. 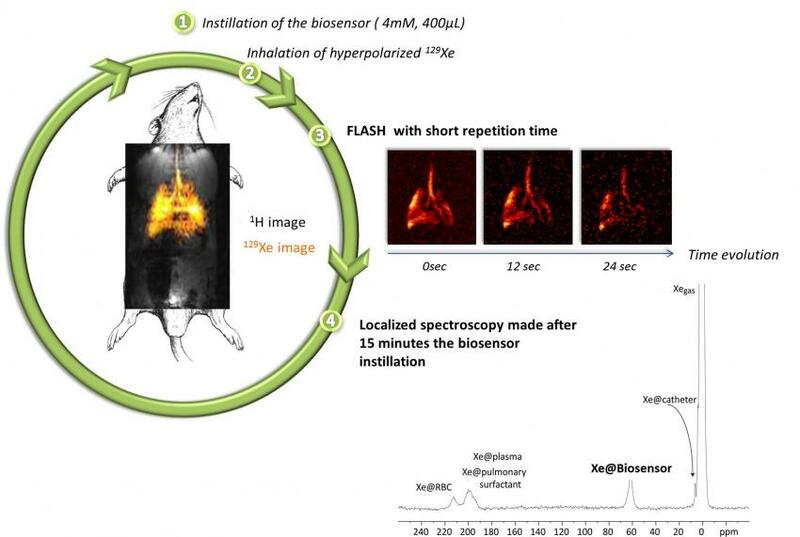 129Xe NMR-based biosensors designed to target a pulmonary disease are instilled in the lungs of the anesthetized animal. Modeling DNA excitons : Modeling DNA excitons We have modeled the Franck-Condon excited states of DNA duplexes and G-quadruplexes.